PennsylvAsia: 2017 Japanese animated film Mary and the Witch's Flower (メアリと魔女の花) at Cinemark theaters January 18, Row House Cinema January 19 through 25. 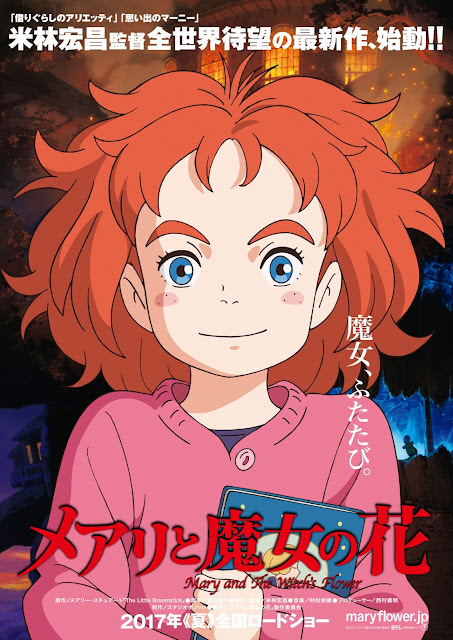 2017 Japanese animated film Mary and the Witch's Flower (メアリと魔女の花) at Cinemark theaters January 18, Row House Cinema January 19 through 25. Tickets for both the dubbed and subtitled versions at Cinemark theaters are currently available online; Pittsburgh-area Cienmark theaters showing the film are Monaca, Monroeville, North Hills, and Pittsburgh Mills. Tickets for the Row House Cinema's screenings are available online as well.